We know that the plate making and drying of traditional printing need more time and manpower,and easily lead to pollution and waste. And due to the limit of plate making, the performance of the tone, especially the gradient color, complex color’ real reduction has insurmountable obstacles.The use of flatbed printers simplifies the printing process, not only to provide customers with better service, improve efficiency and save costs,but also has important significance in reducing the reduction of human resources and to avoid operational errors. 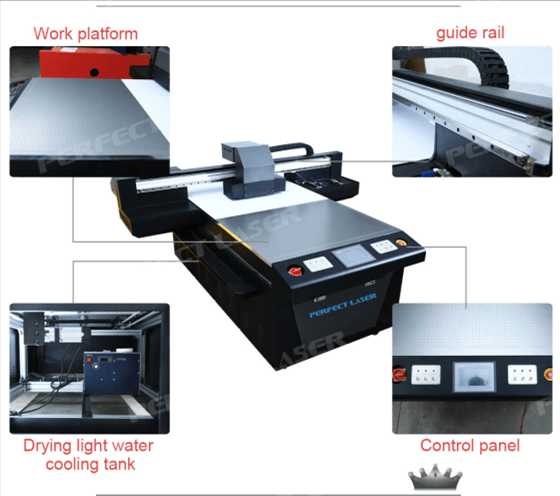 However, the types of flatbed printers are also divided into many kinds, Perfect Laser has been working in the R & D of higher speed, higher precision, higher quality flatbed printer . 1. Higher configuration, higher efficiency. Using a new original imported Epson double nozzle, larger print format , effectively improve the printing utilization, longer service life, higher accuracy. IT grade water cooling device, cooling system better. Light penetration, compatible with a variety of UV ink. 2. Simple and rapid production process. Without the need for plate and repeat sets of color, simple operation. Full computer control, as long as the pattern to be printed into the computer, adjust the color, click the start button can be printed. Eliminating some of the complexity of the traditional printing steps. And low input costs, more suitable for industrial mass production, to ensure production efficiency. 3. Wide range of materials and application industry. Flatbed printers can overcome the limitations of materials, not just a single printing of a class of products. You can print a certain thickness of any medium, to overcome the way of traditional printer that can only print a certain size of the paper. 4. Save a lot of manpower to protect the safety of employees. Flat-panel printer is fully hardware-controlled production, up to ten output mode, no heavy work, fully adapt to the automation industry chain, safe and efficient. 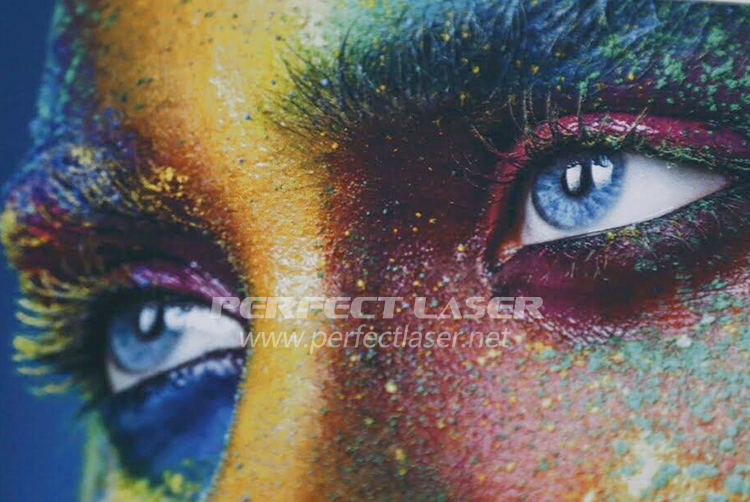 If you want to know more,please click in Perfect Laser Flatbed Printer.